It may not be a surprise to our regular readers that our biggest audiences, as measured by Google’s analytics, are concentrated in New York City, Albany, and the upstate cities of Rochester-Buffalo-Syracuse — all in New York, closely followed by Washington, D.C., and Southern California. Stop the Cap! is headquartered in Rochester, N.Y., but the broadband issues affecting upstate New York are identical almost everywhere, because companies like Charter and Comcast, AT&T and Verizon dominate in many states. For the benefit of our New York readers, we would like to take a moment to endorse one candidate for our state’s next attorney general. Who wins this race will have a ripple effect on almost all of our readers, because New York’s long history providing oversight of critical public and private utilities impacts not only on the people living here, but often sets precedents that deliver real benefits to consumers across all 50 states. New York needs a strong and active attorney general, especially at a time when a pervasive culture of corruption in Washington, D.C. and Albany continues to fester. An attorney general can provide independent oversight and investigate behavior the current Congress and state legislature refuse to do for partisan reasons. Corruption, corporate influence, and pay-for-play politics is a bipartisan problem. Our last attorney general, Eric Schneiderman, horrified us after revelations he allegedly physically assaulted some of the women he dated while also claiming to be a strong ally for the #MeToo movement. Many of his public policy positions were admirable, but his irresponsible, reckless, and unforgivable behavior reminded New Yorkers how flawed many of our state’s elected officials are. Schneiderman was just the latest to resign over a decade of resignations including a former governor, legislative leaders, aides, and elected officials from Buffalo to Long Island. What New York needs now is a new generation of not-well-connected politicians that have no interest in joining an insider network of good ‘ole boys (and girls) who cynically cut deals and look the other way for political expediency. We need leaders that pledge loyalty, not to the party they belong to, but to the people they were elected to serve. That means an end to “everybody does it” campaign trolling for corporate cash, friendly (usually secretive) meet and greets with Wall Street, and wink and nod pledges of “understanding” by those taking frequent trips through the revolving door of public office and industry. New York has seen the impact of these practices in major scandals up and down the state involving deep pocketed construction companies, Wall Street banks, wealthy donors, and various well-connected business interests looking for contracts or tax breaks. This time, there is a candidate that will deliver exactly what New York needs in an attorney general. Zephyr Teachout couldn’t be more independent if she tried. She wrote a book on political corruption, ran against New York’s current governor Andrew Cuomo, has been involved in a number of public policy groups advocating campaign finance reform, sunshine laws, protection from voter suppression, and providing stronger oversight of corporate interests, including a willingness to break up corporate monopolies. She opposed Charter Communications acquisition of Time Warner Cable. She is tired of unopposed, competition-killing mergers like AT&T and Time Warner (Entertainment), Inc.
She supports public/municipal broadband, and for spending public money to resolve rural broadband problems. She will continue a lawsuit against Charter Communications for failing to meet its obligations to customers. She will fight the pervasive and corrosive impact of corporate political contributions and their distortion of public policy. New York voters have several options to choose from for our next attorney general. Among the Democrats, New York City Public Advocate Letitia James has taken on Charter/Spectrum downstate and railed against Verizon’s broken FiOS commitments in New York City. While she now seems intent on carefully investigating Charter’s performance, that comes a little late. New York City has faced a number of problems with telecom companies breaking their commitments, many while James was in office. Those companies do not seem to be afraid of her. Her campaign platform seems focused on downstate issues that are likely not going to attract significant support upstate. New York’s primary day is Sept. 13. Leecia Eve is the establishment favorite for attorney general. Her website says little about her positions, but her resume speaks uncomfortable volumes about her close ties to the Clintons and the D.C. Democrats that enabled the telecom industry’s era of consolidation while doing almost nothing to stop monopoly abuse. Even worse, she is a veteran of D.C.’s revolving door, moving between government and private business in an all-too-familiar game that rarely turns out well for constituents. The deal breaker for us is Eve’s current job — a lobbyist for Verizon New York, New Jersey, and Connecticut. She actually calls that experience a plus. Not for us. There are far better choices. Sean Patrick Maloney is the first openly gay member of Congress elected from New York. Previously, he was a partner at two global law firms and ran a high-tech business. He is dubbed ‘the upstate candidate’ because he currently represents the 18th district, which includes all of Orange County and Putnam County, as well as parts of southern Dutchess County and northeastern Westchester County. His district includes Poughkeepsie. He is considered to the right of the other candidates, likely reflecting the more conservative upstate views of his district, where Donald Trump won over Hillary Clinton by just under two points in the 2016 presidential election. Maloney’s campaign positions are thin, mostly focused on blocking Trump Administration policies that impact New York, particularly those on immigration. He also claims he will fight to stop corruption in Albany, but has said little else. He is, by far, the most strident candidate in the race, reflecting a ‘tough talk’ style, sometimes laced with profanity, that usually doesn’t hurt candidates in New York politics. His message: he won’t take any crap from the president or his supporters. He’s also upset about the less-than-robust response from fellow Democrats to rhetorical bomb-throwers on the right during the last two years of Donald Trump’s presidency. Maloney’s strong beliefs and style seem better suited to Congress than the state attorney general’s office. Although no stranger to grandstanding, the AG’s office usually spends most of its time reaching private settlements with offenders or taking them to court. The Republicans have endorsed Keith Wofford for attorney general. His platform is wrapped around the premise the attorney general’s office in New York has been too hostile to companies in New York, essentially extorting settlements and deal conditions that hurt corporate interests while spending too much time on oversight and compliance and not enough time on attracting new businesses and jobs. That’s a philosophy former Oklahoma AG Scott Pruitt (who served as the president’s EPA administrator until his resignation in July) would strongly endorse. After two years of the Trump Administration’s scandalous performance allowing corporate foxes to patrol the hen houses, Wofford’s double-down on Trump’s policies is woefully out-of-place. For all these reasons, Stop the Cap! 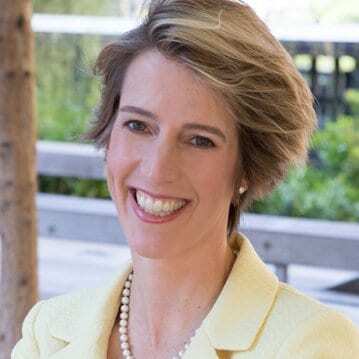 strongly endorses Zephyr Teachout for New York’s next attorney general. She is right on our issues and will instinctively fight to stop consumer abuse, often before it starts. She will be immune to the influences of corporate cash and the kinds of cozy Albany-insider politics that have allowed corruption to fester for too long.